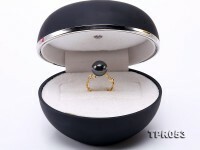 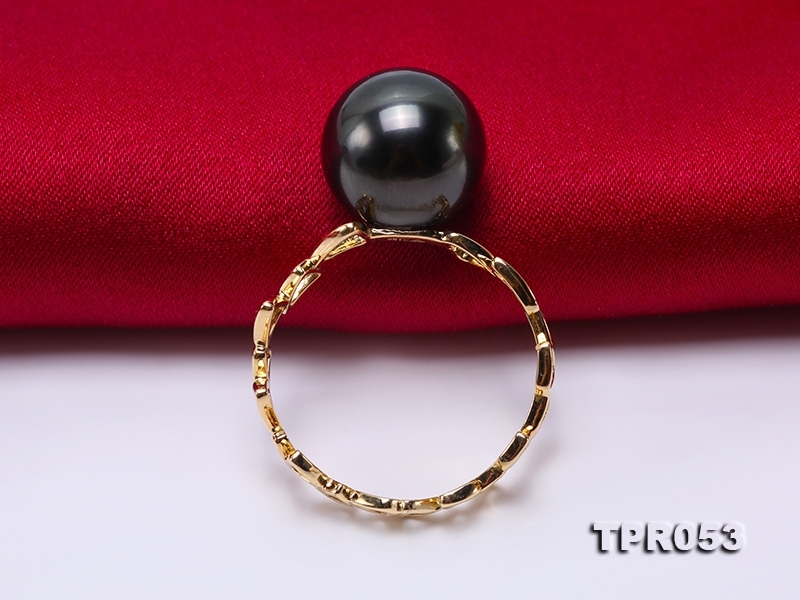 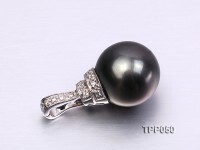 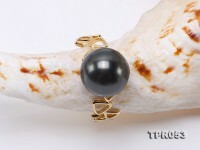 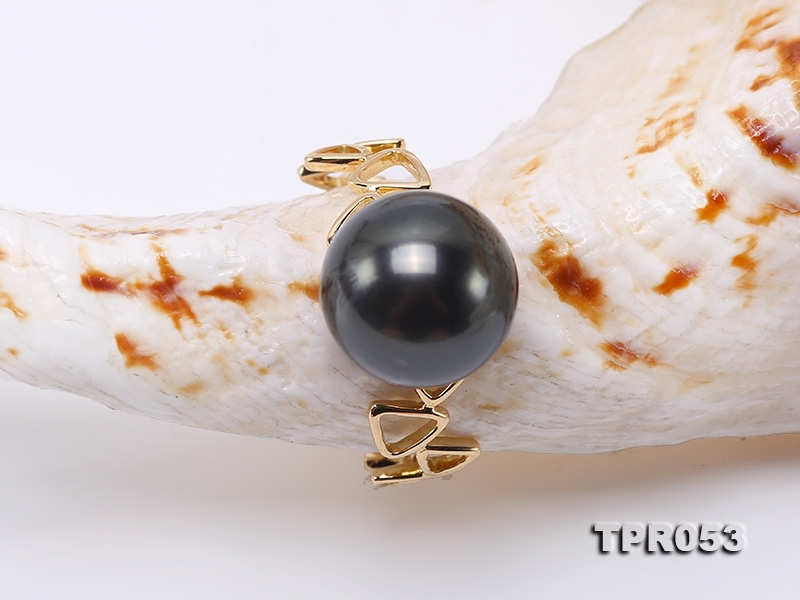 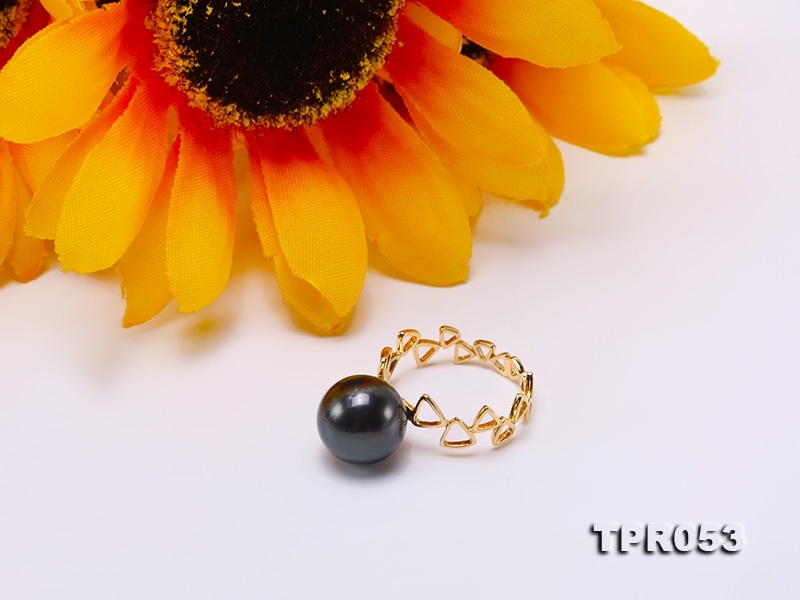 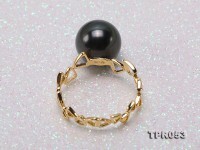 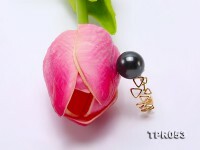 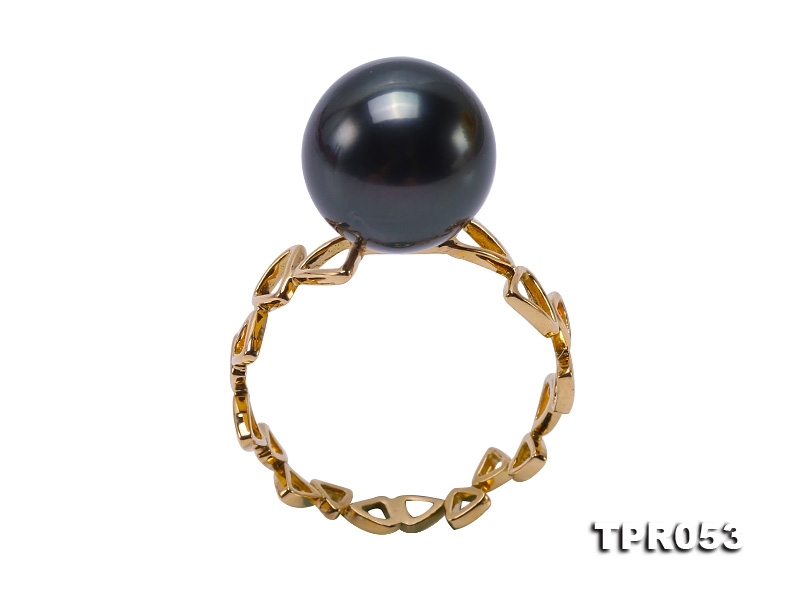 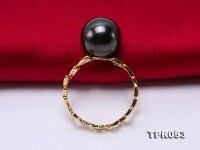 Exquisite 11mm black round Tahiti pearl ring. 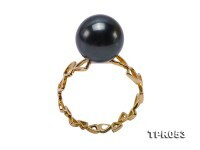 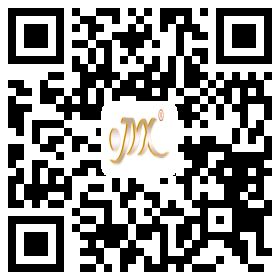 The ring itself is exquisitely crafted with 18k gold. 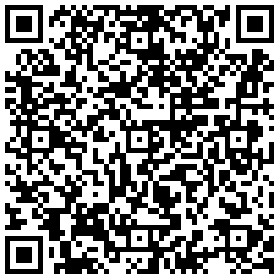 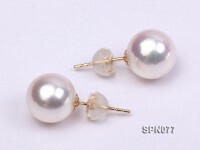 It is 14.5(HK standard) in size. 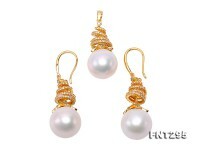 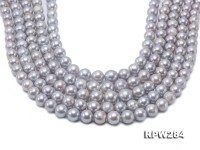 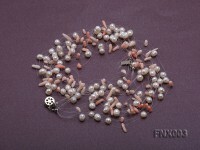 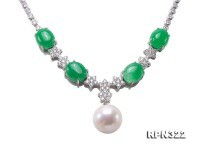 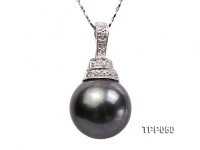 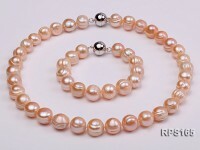 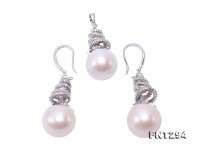 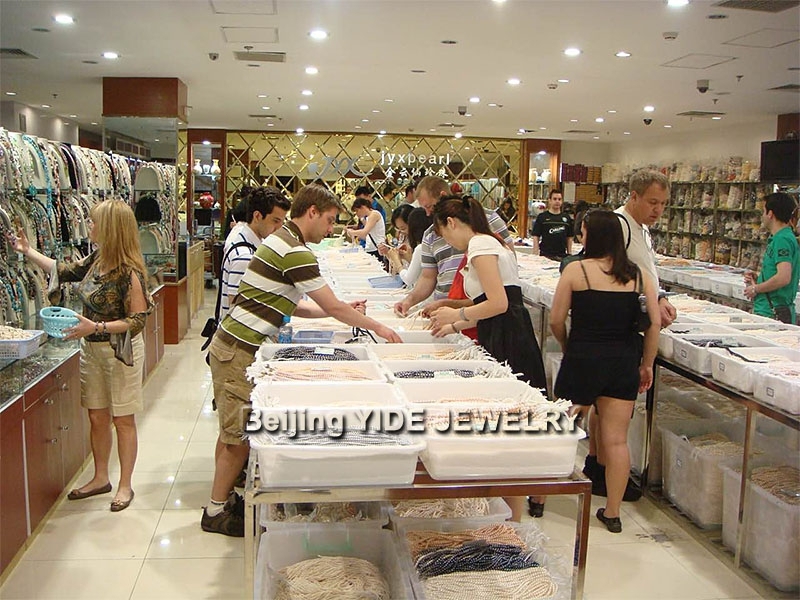 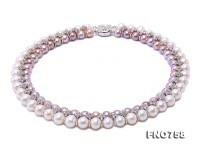 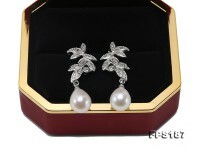 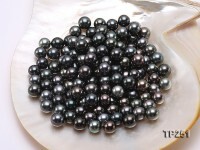 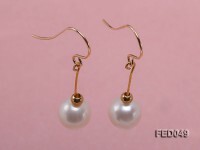 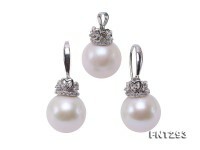 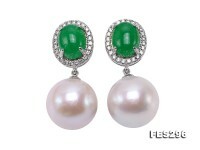 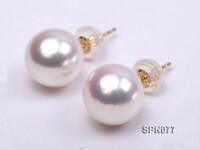 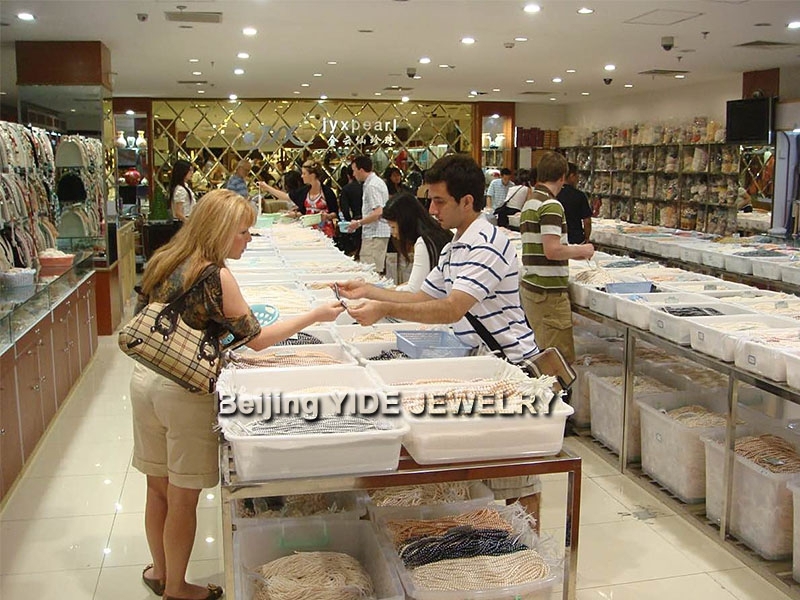 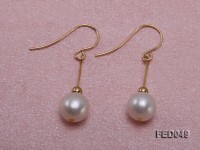 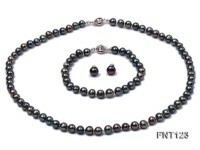 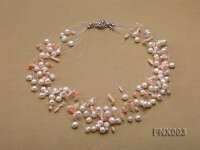 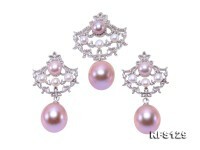 The fine Tahiti pearl is especially selected with strong luster and smooth skin.